Hello again, get your socks on because it's time for history of vidya gamez part III. In the last part we covered the 80s through to the end of the fifth generation at the end of the 90s; the major points during that period being the large push for graphical supremacy and the introduction of handhelds, with the games industry very quickly working it's way into mainstream culture. In this part we examine the consoles of the previous two generations leading into modern day and current gen consoles like the Wii U, PS4 and the XBOX ONE. While looking at the major advances during these eras like the rise of online play, social media and the dominance of the mobile market. The sixth gen started in 1998 with a console by Sega called the Dreamcast. It was noted as being ahead of it's time; the Dreamcast was the first console to feature online console gaming because of it's built in modem and also the first console to render full frames instead of interlacing. It was initially doing well as it had a strong launch line up and good sales however upon the announcment of the Playstation 2 the sales quickly dropped, the common consunsus being the Playstation's brand power and addition of DVD player in the PS2 lead to the downfall of the Dreamcast. This had huge ramifications for Sega as the company realised it no longer had the resources to continue producing consoles and the company restructured itself into third party publisher. The Dreamcast was hugely influencial though despite it's short lifespan. Sega assisted Microsoft in the design of the original XBOX and it's online services where the design influence can be noticed. It also to this day has a strong cult following with several successful Kickstarter campaigns bringing new indie games to the console like Sturmwind and Redux: Dark Matters. Next we have the big one: the highly anticipated Playstation 2. Building from the success of the Playstation brand in the previous gen, the 'PS2' became an instant success on it's release in 2000. It went on to become the best-selling console of all time selling over 155 million units. 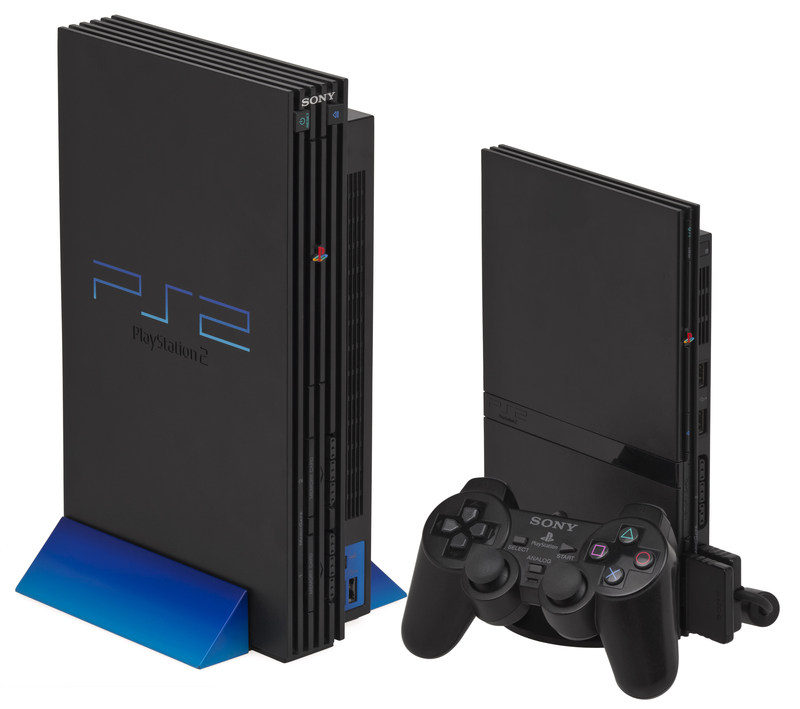 The major appeal of the PS2 was the addition of a full built-in DVD player which meant that the console could perform as an all-round entertainment system, another point was the backwards compatibility with PS1 games which earned the PS2 a huge library of games at launch and a larger install base compared to the competition. Another contender during this generation came later on from Microsoft with a console called the XBOX; it's strong points were slightly improved graphics over the PS2 and an integrated online platform known as XBOX Live which set the standard for online platforms to follow. It did not manage to steal too much dominance from Sony but it did sell reasonably well with games like Halo: Combat Evolved being a critical and commercial success selling over 5 million copies. 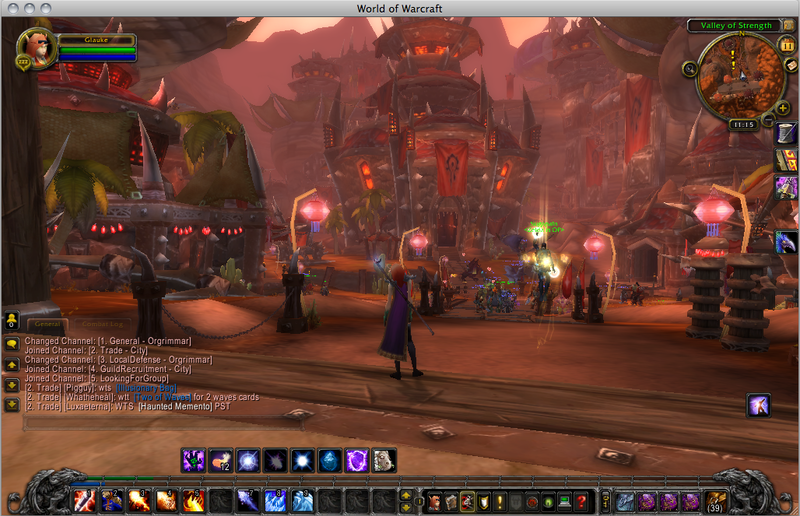 During the sixth gen major advances came in terms of online games. The inclusion of the built in modem on the Dreamcast was the first sign that internet play could be the the future of gaming although it didn't start to pick up until Microsoft brought it's dedicated servers to the XBOX a few years later. We are closing in on the present day, just another generation to go. This generation started with the introduction of the handhelds; firstly then here is the Nintendo DS. 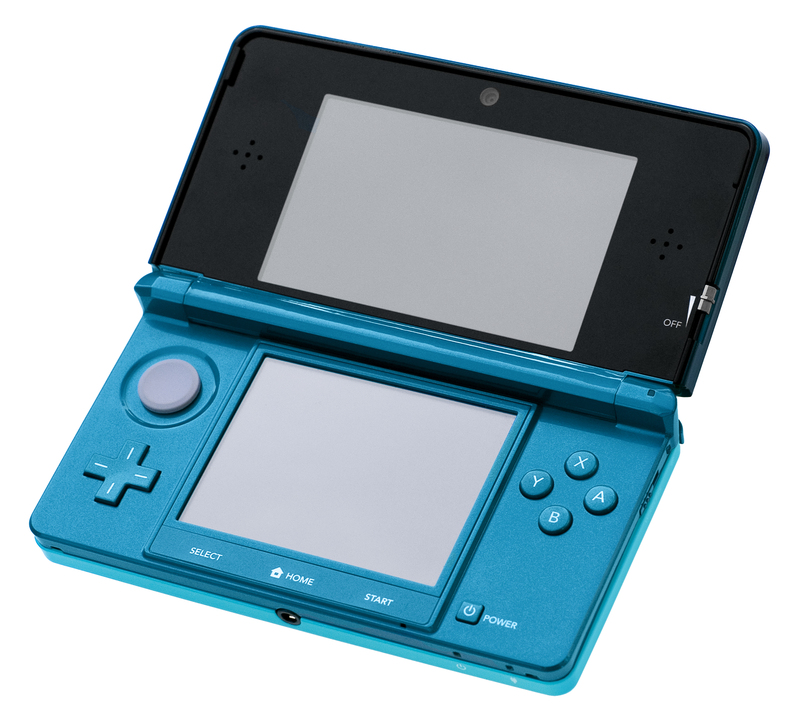 The Nintendo DS was Nintendo's successor to the Game Boy line of handhelds and it introduced a number of unique features: It had a dual screen with one being touch-enabled allowing for new gameplay possibilities, it also added a wireless internet connection and a feature called download play which allowed the devices to download a demo of a game temporarily onto their DS for wireless multiplayer. 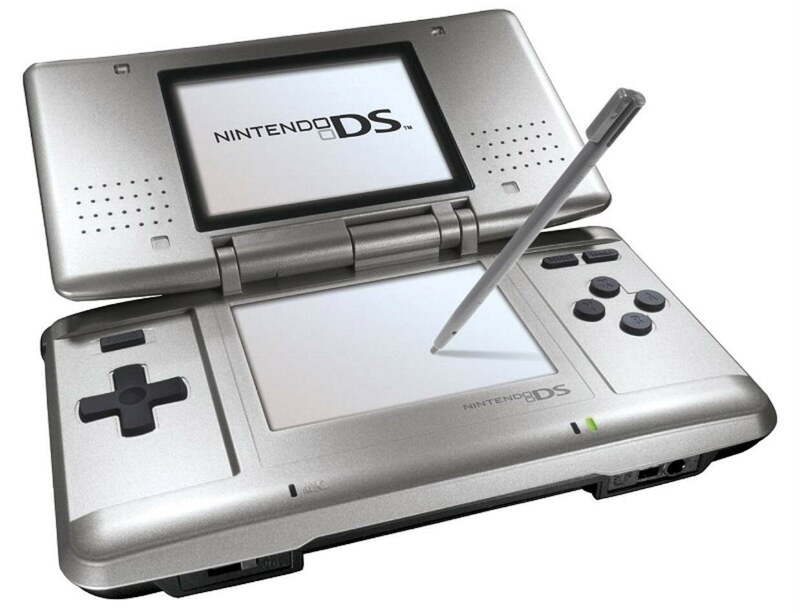 The DS was successful in attracting new people to game consoles, with games like Brain Training and Big Brain Academy attracting middle-aged consumers into buying one, it also followed in the footsteps of it's predecessors by appealing towards children more than it's competitors. The competition to the DS was Sony's entry into the handheld market: The Playstation Portable (PSP.) It featured a large LCD screen, powerful graphics for a handheld and had more options for media playback including the support of proprietary discs called UMDs on which films and games were distributed for the system. Now onto the home consoles of the seventh gen. Microsoft unveiled it's successor to the XBOX in 2005 called the XBOX 360, with HD graphics capabilities and an upgraded version of it's XBOX Live service which included the ability to buy downloadable content and games from XBOX marketplace. Sony's offering was the Playstation 3, also with HD graphics and an dedicated online service. The consoles were very similar in many ways in terms of graphics and online functions but each one had their own unique selling points. The PS3 included support for Bluray discs on which games and video were distributed, a major selling point. For games, the extra memory Blurays had on disc compared to regular CDs allowed for larger games. However the PS3 had it's problems at first including a really steep price at launch and the system's architecture which used the specially made Cell Processor made it difficult to develop on. This and some other issues resulted in Sony losing some of it's brand power during this generation that it wouldn't regain until later on after successive iterations of the PS3 and more releases. Nintendo's console was a rapid departure from the other two consoles as it made more of a focus towards innovative gameplay rather than graphical improvements. The 'Wii' was first console with motion controls, which it used to gain a mass appeal with apps like Wii Sports attracting people who never really play games. The Wii became a runaway success for Nintendo as their biggest selling console and paved the way for motion controls and casual appeal in video games. Motion controls would go on to become a major point this generation after the success of the Wii. Sony would go on to create it's own motion controllers (The Playstation Move) while Microsoft worked on the Kinect which is a camera which can detect the movement of a whole body. Another shift this generation came in the form of mobile gaming, with mobile devices becoming more advanced allowing for more gaming possibilities. These kinds of games became very popular with the casual market with the likes of Angry Birds and Fruit Ninja selling millions of copies. This shift in the industry has had ramifications all over. Combined with the rising costs of AAA development, smaller developers now have more of an opportunity to gain money from their projects. Also with different price models these companies now have much much more freedom over their control of their revenue, leading to a huge surge in indie development in recent years which continues in the next gen with more freedom provided by the console makers. Now we have finally reached the modern era of video games and the new generation of consoles. This gen has seen a focus on cloud gaming, social connectivity and live streaming and new features on the consoles reflect that. The new handhelds this generation have more of a focus on social media. With more integration with popular sites like Facebook and Twitter, and a focus on more gamer centric connectivity like the Streetpass feature on Nintendo's new 3DS which allows two 3ds consoles that come in close proximity to share gifts and characters. More technological and graphical leaps have also been made this gen, the handhelds being no exception. The 3DS sports a 3d screen that doesn't require glasses to wear and the PSVita (Sony's successor to the PSP) sports a large OLED screen with HD graphics. In terms of home consoles, the Wii U is the first of this gen. It builds upon using a different control method like the Wii set in motion with a new controller called the gamepad which features a small LCD touchscreen to display extra information for the game. The pad also has new gameplay possiblilites like assymetric gameplay, this means people using different controllers can get a different experience on the same game and affect it in different ways. are more PC like in build compared to their predecessors and have a lot more RAM allowing for more content to be shown on screen at one time. The newest consoles focus heavily on connectivity aswell though and features more integration with social networking sites like Facebook, also both consoles feature an the ability to share gameplay clips or stream gameplay over Twitch. The next step being pushed with these consoles is game streaming which allows people to stream games over an internet connection almost like a video game version of Netflix. It started over the last couple of years on PC platforms but with the PS4 using Gaikai cloud technology it will be possible to have the whole playstation back catalog available to stream with no latency, which is a huge achievement. Alos this generation had seen the rise of alternative consoles catering to smaller audiences. Among these are the Ouya Microconsole which is based from an android OS and is fully moddable right out of the box. Another alternative console due to be released soon is the Steam Machine by Valve which functions as a gaming PC that can be used in the living room, it also comes with a unique controller that offers mouse like precision for PC games. As we are just entering a new gen of gaming a lot of people are asking what the possibilities are going forward; a current talking point is the rise of virtual reality gaming as a result of the successful Kickstarter campaign of the Oculus Rift. Virtual reality is the technology that allows the game to completely envelop the player in the virtual world by surrounding their vision and offering intuitive controls, up until now it has been the focus of science fiction and numerous failed attempts but now technology is at the point where it could be feasible. Once current problem that engineers are trying to overcome though is the problem of motion sickness while using the helmet device, this is caused by the different in speed between the images in the helmet and real life and also the latency in movement as the player turns their head.. One solution being experimented with is a helmet that can beam images straight into the retinas for super clarity and no latency, for a perfect experience this would have to be combined with a precise sensors picking up the direction and tilt of the head. My opinion on virtual reality is that it will become a core gaming experience down the line but it will take further advancements in order to make it commercially viable. This may be sooner than later though as Sony (With their Project Morpheus Virtual Reality for the PS4) and Microsoft are making their moves in this area while hopefully pushing what is possible with the VR technology. This extra competition could really speed up the process of getting a fully functional VR device on the market, especially with the first parties dedicating large teams and finances to VR development. It would be interesting to see what what kind of games and experiences arise from virtual reality. The purchase of Oculus by Facebook seems to show that VR could have uses beyond just games; new kinds of social interaction, virtual reality webcams and multiplayer hangouts are just some of the areas that VR could go into. I guess it won't be as scary as slender on VR though. Hope you enjoyed reading my history of video games, hopefully the future of games will get more and more interesting as time goes on.